Homecoming Week, is a time of school spirit, true colors, tacky proposals, and new dance moves. Most likely the majority of Holdrege High School would agree to say that this year was no different. 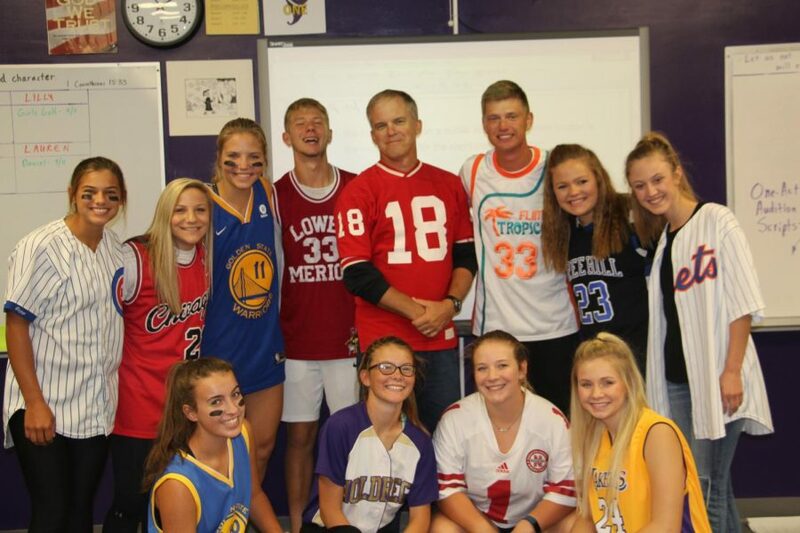 “The best part of spirit week for me was definitely Uniform/Jersey day because that was the day that I won in the junior class,” said Morgan Hein. Each year the student council chooses themes for the students for participate in. This year, the Spirit Week days were: Camo Day(Monday), Jersey Day (Tuesday), Costume Day (Wednesday), Color Day (Thursday), and Spirit Day (Friday). “The best part of spirit week for me was definitely Camo Day where I got to wear a ghille suit. Nobody knew who I was when my mask was on,” said senior Aaron Drews. Students definitely had a fun week between dressing up and putting floats together while still trying to stay focused in class. During Spirit Week student participation was at an all-time high and everyone was pumped up with pride for the Dusters.